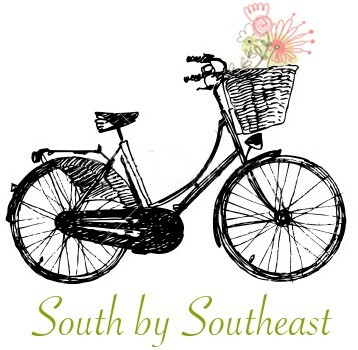 Not to brag too much but I have a farmer’s market in my neighborhood on Friday afternoons. And even though it is sometimes difficult to find a real farmer at this “farmers market” (it is very small and tends to have more resellers of produce and/or ‘artisans’ selling non-food wares), I did come across some of the last local peaches of the season here. They were plump SC grown peaches and I could not pass them up even though they cost, ‘gulp’, about twice what they did a couple of weeks before. 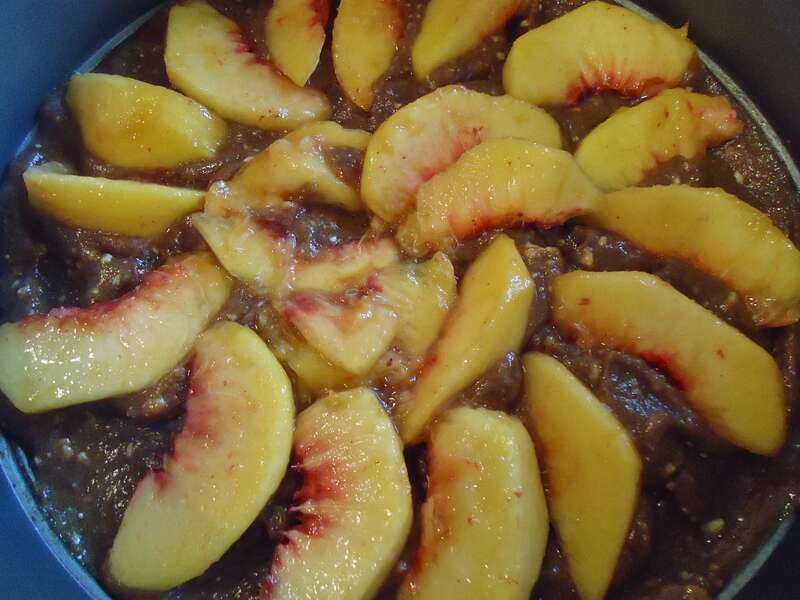 I would imagine that this basic technique and cake (adjust the spices) would work with any firm or semi-firm fruit like apple, apricot, pear and maybe even fig (if you can get them). Apples and pears may also require pre-cooking … perhaps on the grill? That would add an interesting twist. 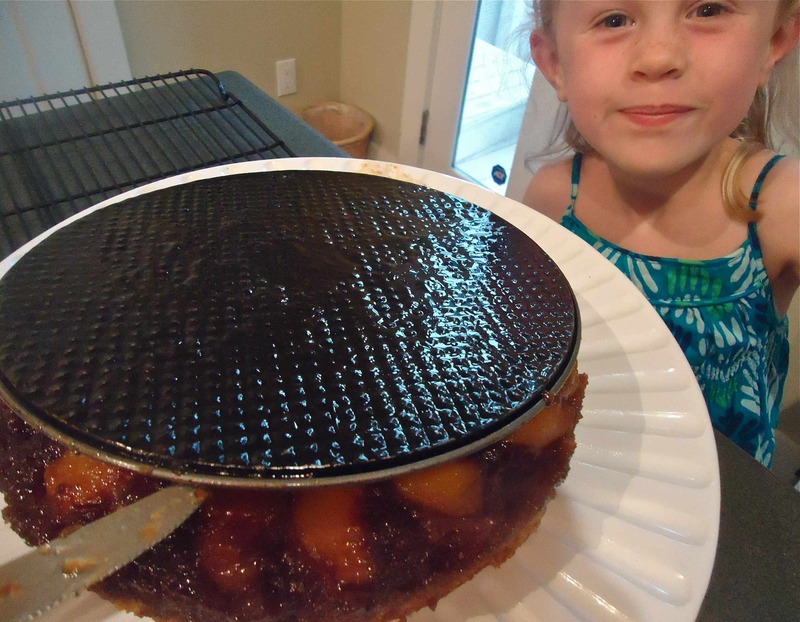 This cake was also fun to make with the assistance of Girly Girl and she was astonished when I told her we would be flipping the cake upside down to get it out of the pan. I think she was even more surprised when she tasted it and decided that it was indeed ‘good’. The last of the summer peaches got a fitting send off nestled in this rum and brown sugar infused butter-cake, served warm and topped with a dollop of real, homemade whipped cream. 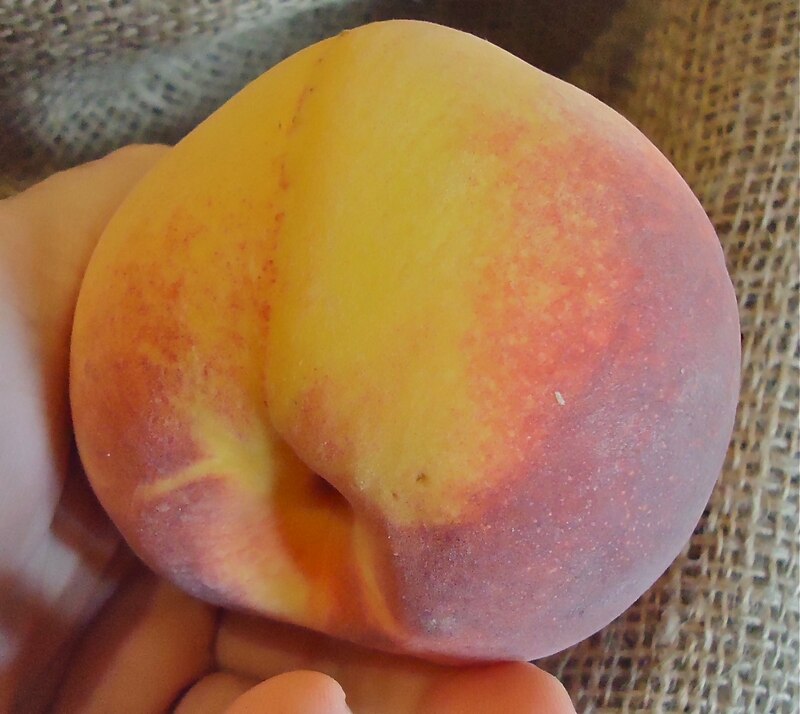 Farewell sweet, delicious South Carolina peaches…until we meet once again… next July. Sift the dry ingredients together and set aside, while creaming the butter and sugar in the mixer and preparing the butter/rum/sugar topping. 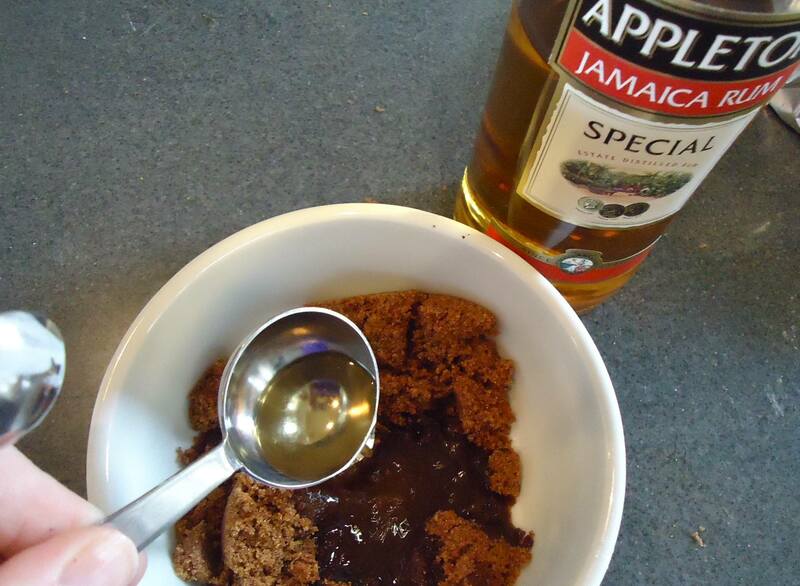 Mix the rum into the brown sugar and add the softened butter. 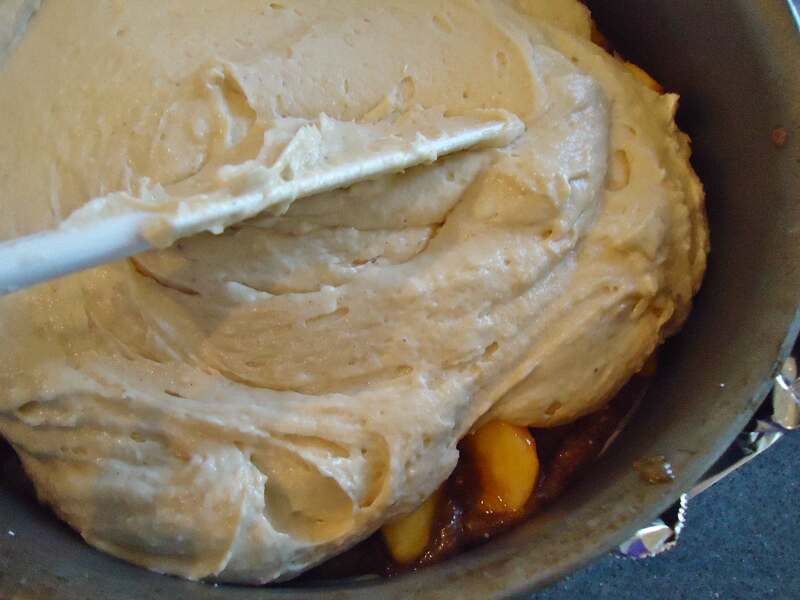 Spread this rum/butter/brown sugar mixture into the springform pan. 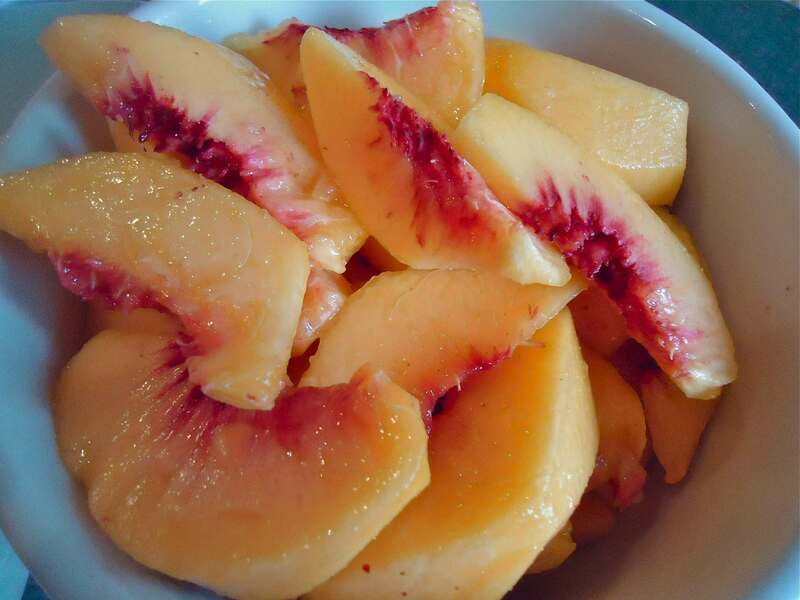 Place sliced peaches over the rum/butter/brown sugar mixture. After creaming the butter and sugar together, add the eggs, mixing well after each. Mix in the vanilla extract. In a food processor or with a hand blender puree the remaining peaches with the buttermilk and 1 tablespoon rum. Mix the buttermilk/peach puree into the creamed butter/sugar/egg mixture alternating with the dry ingredients. Pour the batter (it will be thick) over the sliced peaches. carefully flip everything right side up. Remove the springform pan bottom. Voila! 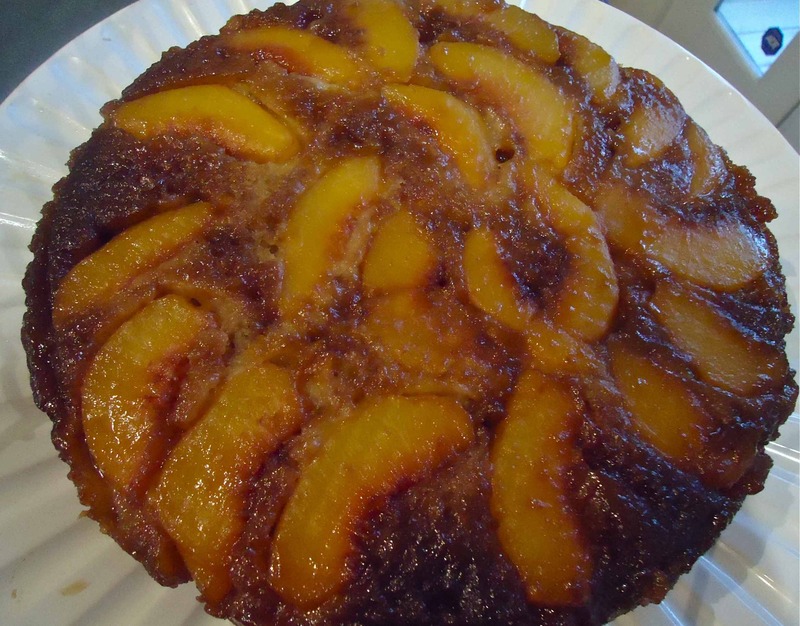 Peach upside down cake. I like mine warm topped with whipped cream or creme fraiche. I topped it all off with a dash of nutmeg too! Preheat oven 350 degrees. 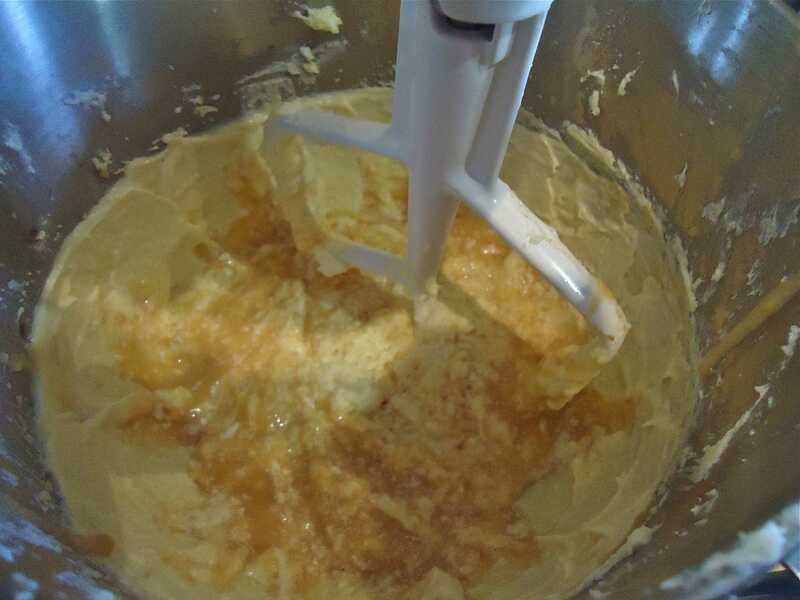 In medium bowl mix 6 tablespoons melted butter with the brown sugar and 2 tablespoons rum. Pour this into the bottom of a 9-inch springform pan (wrap the bottom of the pan in foil to catch any sugar/butter that may leak out the bottom). Arrange about 2 cups of the peaches over this mixture. Set aside. 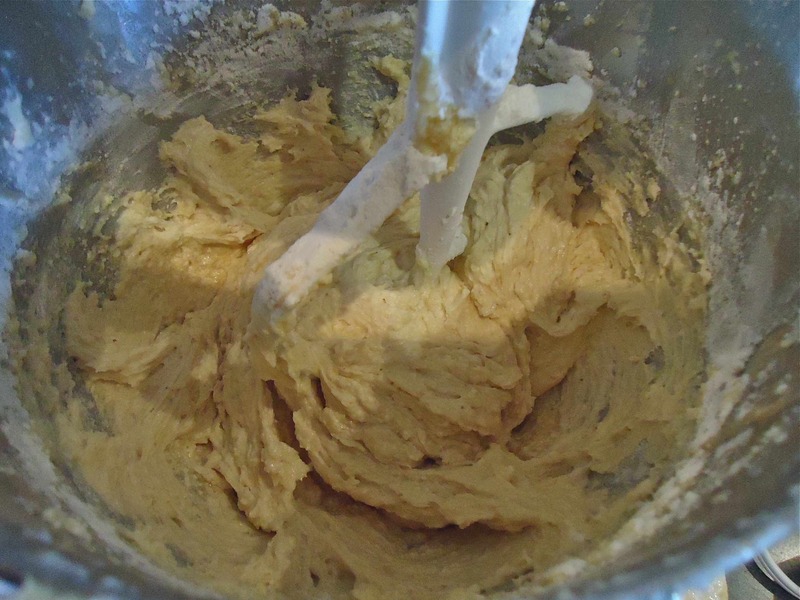 In a mixer cream 8 tablespoons (1/2 cup) of butter with the sugar until light and fluffy. Add eggs one at time, beating the mixture well after each addition. Add vanilla extract and mix well. 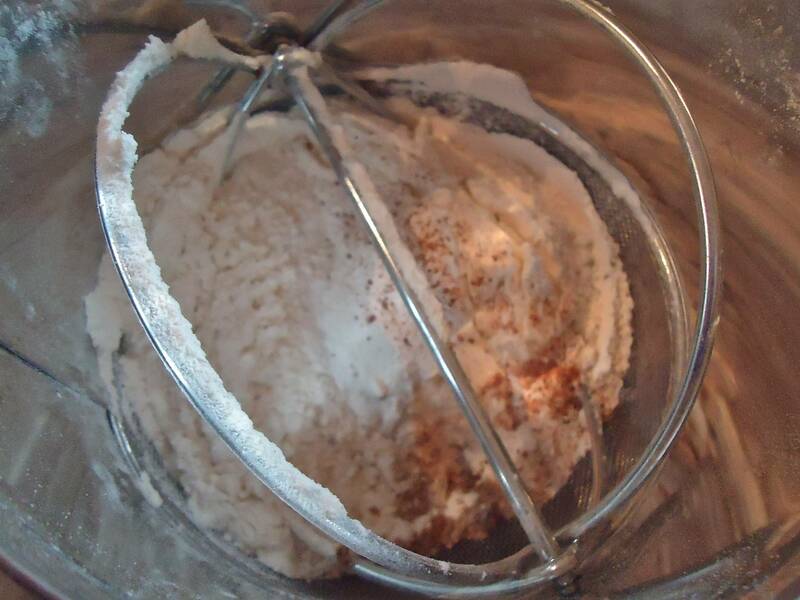 Sift flour, spices, salt, baking soda and baking powder. Set aside. 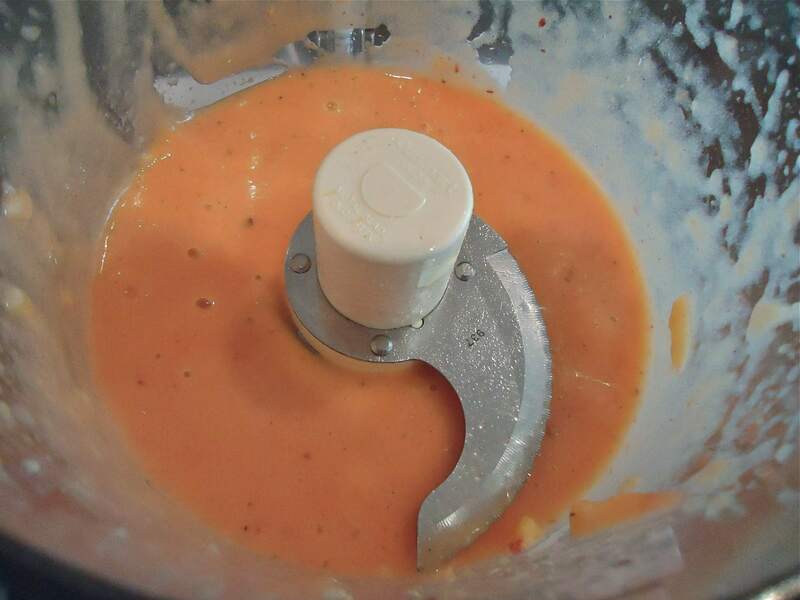 In a food processor or blender puree the remaining peaches, buttermilk and remaining 1 tablespoon rum. Add this to the sugar/butter mixture and mix well. Mix in the flour mixture. Pour the batter over the peach slices in the springform pan. 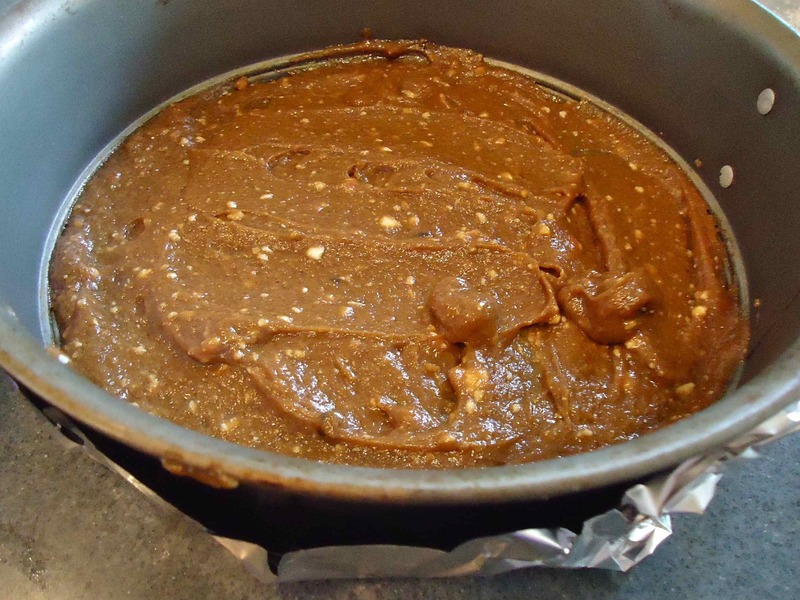 Bake in a preheated 350 degree oven for 50 minutes or until center is cooked through. 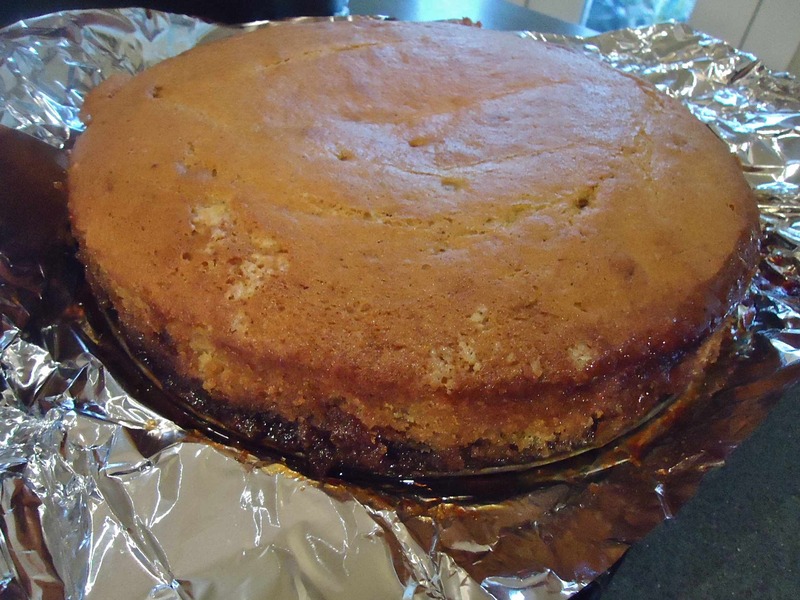 Remove to a rack but while cake is still very warm run a knife around the inside of the pan to loosen the cake. 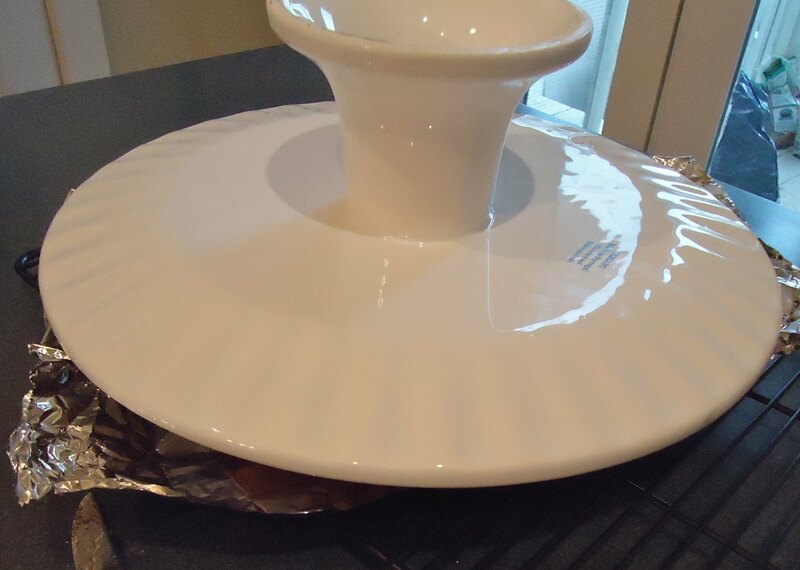 Remove the side of the pan and invert onto serving platter. 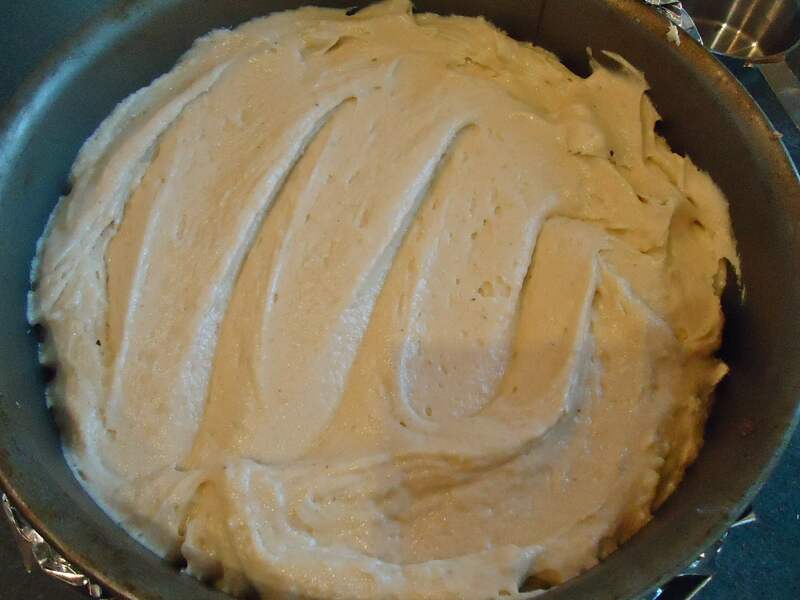 Remove cake pan bottom. Serve warm with whipped cream or crème fraiche. 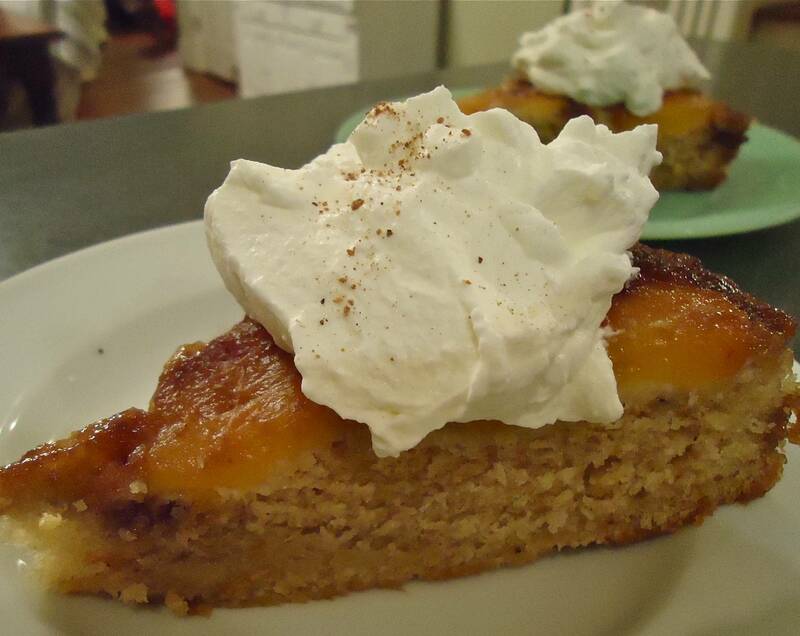 This entry was posted in Recipes and tagged desserts, peach recipes, peach upside down cake, recipes using rum. Bookmark the permalink.